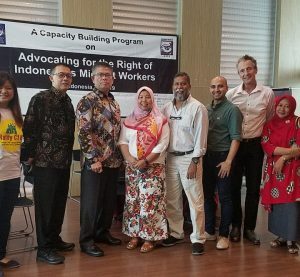 A broad coalition of Civil Society Organisations (CSOs), including migrant, labour rights organisations and trade unions from across Asia came together for the Asia Civil Society Day (ACSD) in Dhaka, Bangladesh, ahead of the Global Forum on Migration and Development (GFMD). 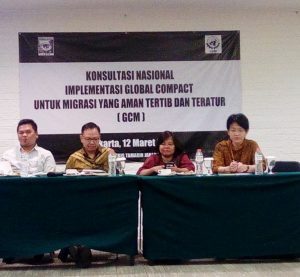 The ACSD served as Asia civil society process as part of the People’s Global Action on Migration, Development and Human Rights (PGA) as well as CSO mobilization around the 2016 GFMD. Migrant Forum in Asia organized the ACSD together with Asia Pacific Refugee Rights Network (APRRN), Global Alliance Against Traffic in Women (GAATW), Mekong Migration Network (MMN), International Federation of Red Cross and Red Crescent Societies (IFRC), Asia-Pacific Forum on Women, Law and Development (APWLD), Arab Network for Migrants Rights (ANMR), CARAM Asia, International Domestic Workers Federation (IDWF), Building and Woodworkers International (BWI), ASEAN Services Employees Trade Union Council (ASETUC), South Asian Regional Trade Union Council (SARTUC), ASEAN Task Force on Migrant Workers, UNI Asia Pacific Regional Office (UNI-APRO), and Public Services International (PSI).